Frank Selas, 76, in court Wednesday, Jan. 27, 2016. A former Louisiana television personality known as "Mr. Wonder", arrested in San Diego County on charges he sexually abused young children decades ago at a free camp, will be extradited to Louisiana to face charges. U.S. Marshals arrested Frank Selas, 76, at his home on Casa Verde Court in Bonita on Jan. 25. Selas has pleaded not guilty to a fugitive charge. Since his arrest, Selas has fought extradition and claimed marshals arrested the wrong man. Wednesday, a spokeswoman for the San Diego County District Attorney's office said Selas advised the court he did not wish to file a writ to challenge a governor's warrant. The move removes legal impediment to his extradition and he will now be extradited back to Louisiana. Community groups in San Diego County are investigating possible connections with a Louisiana man now in custody on allegations of child molestation made decades ago. Frank Selas was in court on Wednesday. NBC 7's Wendy Fry has more. Selas was initially arrested on a warrant stemming from the late 1970s, when Selas was accused of abusing children during a camping trip near Valentine Lake at Kisatchie National Forest in Louisiana. At the time, Selas hosted the "Mr. Wonder" show on KNOE-TV in north Louisiana. Louisiana law enforcement officials obtained a warrant for Selas' arrest in relation to two counts of obscene behavior with a juvenile. When officials went to his home, his wife told them her husband had fled in the family car. In the coming days, officials would find Selas' car in Dallas. Selas, then 39, allegedly fled the country and flew from Dallas to Rio de Janeiro, Brazil, before investigators could arrest him. When Selas returned to the U.S., investigators say he changed his last name and Social Security number. The judge ruled at a previous hearing prosecutors and marshals proved Selas is the man wanted in Louisiana. Now, prosecutors say they will await a governor's warrant to proceed with extradition. Investigators say Selas spent the last three decades living in San Diego and volunteering with community organizations including the Cub Scouts and the American Red Cross. 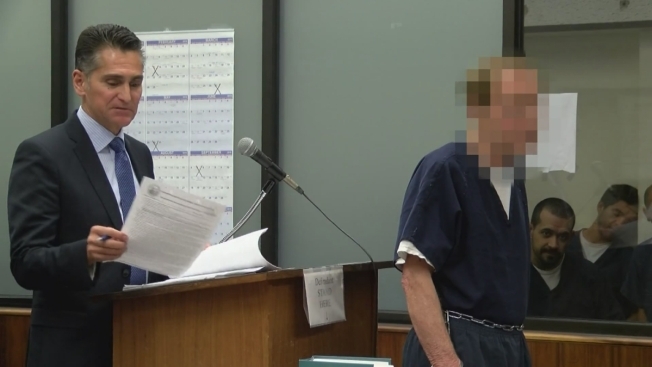 NBC 7's Elena Gomez reports on the response from Boy Scouts of America and the Chula Vista school district about the arrest of Frank Selas, the man known as "Mr. Wonder" on Louisiana television.